It is the season of Lavender. 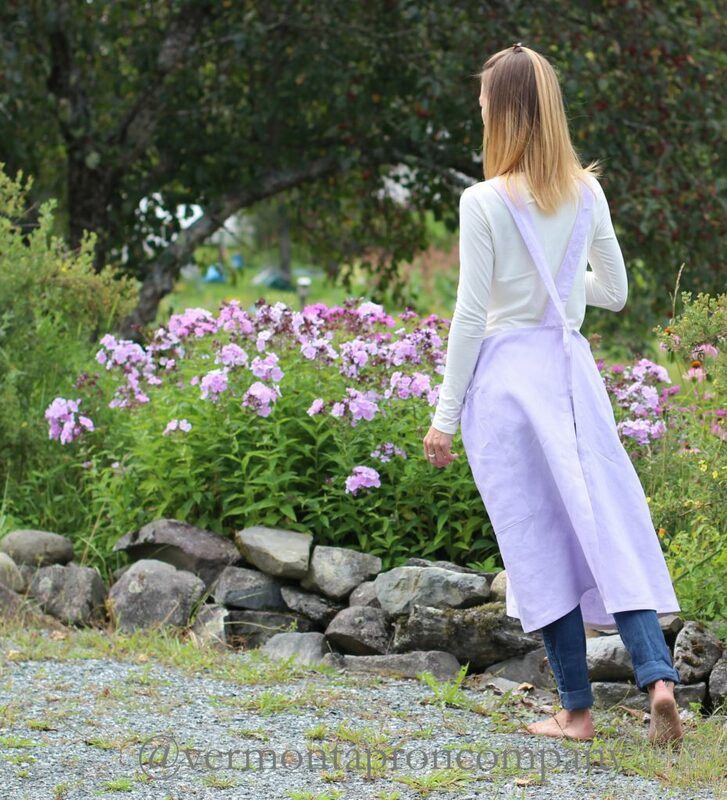 I never knew there was a season for it but as we recently traveled to take some good pictures of the Linen Aprons, Lavender seemed to own the land. We found it tucked behind stone walls ..
and others that I cannot name. And our Linen Aprons looked beautiful no matter the color linen we chose. If there is truly an official season of lavender, what will September bring? And what did we miss in July? I am now inspired to start seeds next year for perennials in my own yard. 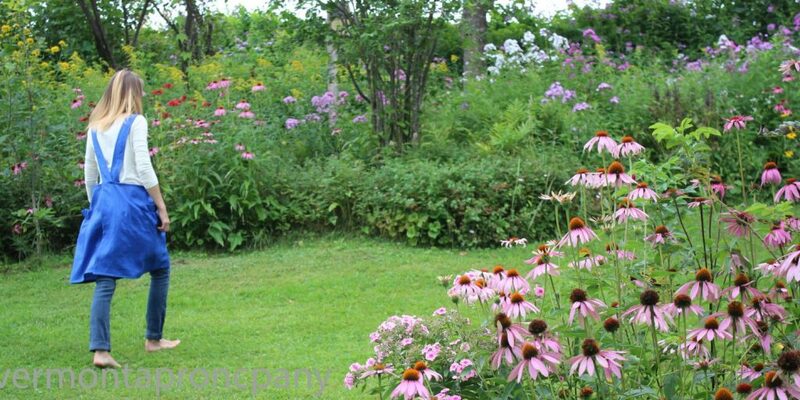 I am inspired to create bold flower beds that that fill entire areas instead of my usual small, seemingly timid spot. And I can see that a few carefully chosen shrubs to anchor the beds would look great as well. 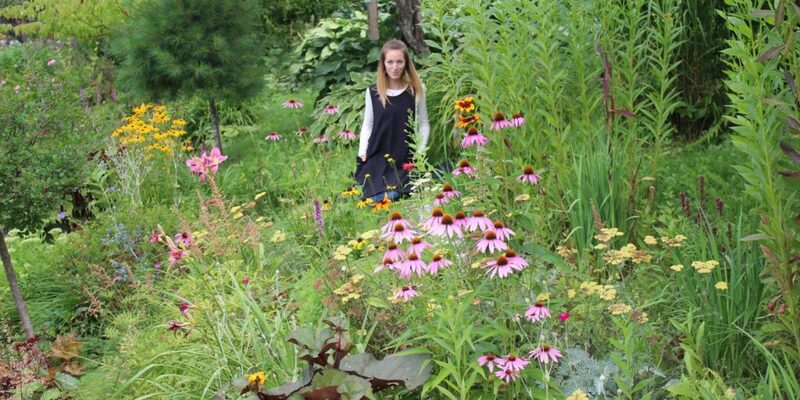 I use to be a bit of a gardener and it drifted away from me. I want to work on this reconnection. I have recently acquired an allotment so I garden every day. Gardening can be a grubby business but a lovely apron and a bunch of flowers freshly cut from my patch makes me feel less like a farm labourer and more like a lady. 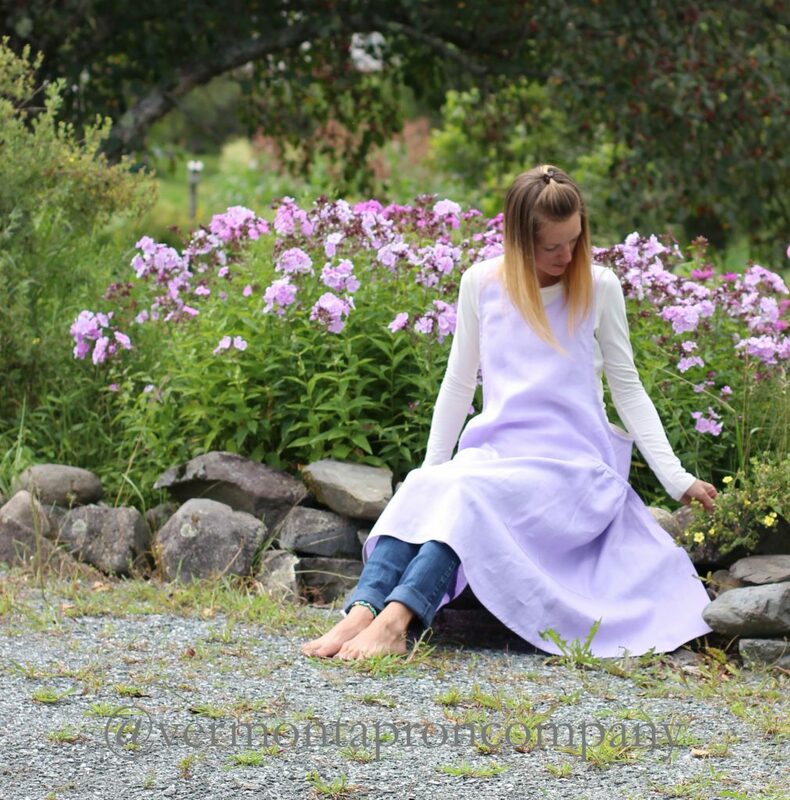 Here in England the herb lavender is the purple plant of July, a perfect match for your lavender linen apron. Well stated! And congratulations on the allotment. I wish you well with it. I had added lavender to my perennial list for next year. Thanks.